Pre-owned repossessed cars for sale in the Cape Town area offer great value for money on some of the leading car brands. The reason for this is because the previous owners have defaulted on their vehicle finance instalments and as a result, the banks have taken back ownership of the vehicles in order to try and make back the money owing on the cars. These cars are usually in fantastic condition and many have very low mileage. If this sounds like the kind of thing that you would be interested in looking in to, then there are a number of avenues that you can take to find these gems. Every week, auctioneers such as Aucor and Birchmores hold auctions on repossessed cars. These auctions are open to those members of the public who have registered with the auction houses. However, the cars that are on auction cannot be test driven, but rather the auction houses have a viewing day, usually the day before the auction of the vehicles, where you can go and inspect the vehicles yourself. Should you not be completely in the know about vehicles and how they work, then the best thing for you to do would be to take a qualified motor mechanic or electrician to inspect the vehicle to ensure that you are not purchasing a car with any serious problems. This is extremely important as these cars come “as is”, which means that should you purchase the car and then only realise that there is something wrong with it, the responsibility is yours to fix it. You cannot return the car to the auction house and expect them to fix it. What is great about these auctions though is that nearly every bank in South Africa has vehicle finance administrators who can assist you obtaining vehicle finance at the auctions. It is however important to note that you have to pay a deposit on the car in order to secure the vehicle from being purchased by another individual. Should you thereafter be denied vehicle finance, you will have to come up with the money for the vehicle in another way. My suggestion therefore is to obtain approval for finance before you attend an auction. Some dealerships purchase these repossessed cars themselves. This means that you can visit a local used car dealership to enquire about pre-owned repossessed cars for sale in the Cape Town area. You may end up spending a little bit more on these vehicles due to the fact that the dealership will mark up the vehicle in order to make a profit but there are certain advantages with purchasing a repossessed vehicle in this way. Firstly, you can test drive the vehicle unlike at auctions. Secondly, should there be a problem with the vehicle which the dealership has not made you aware of before you purchase it, they are liable for the costs to fix it. This is because of the Consumer Protection Act which came in to play in April of this year. Thirdly, you can apply for finance through the dealership and they will be able to tell you almost immediately if you can afford the vehicle. 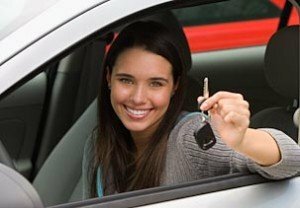 Usually, you would have to put down a deposit to secure the vehicle, however some dealerships will hold the vehicle for you until your finance has been approved. There are also a host of online dealerships that you can visit such as www.mycars.co.za which list all of the repossessed vehicles available. Here the same principles applies with used car dealerships. So if you are looking for a vehicle at a great price, then you really should consider purchasing a repossessed vehicle as you will be able to purchase a quality brand car at usually less than market value.